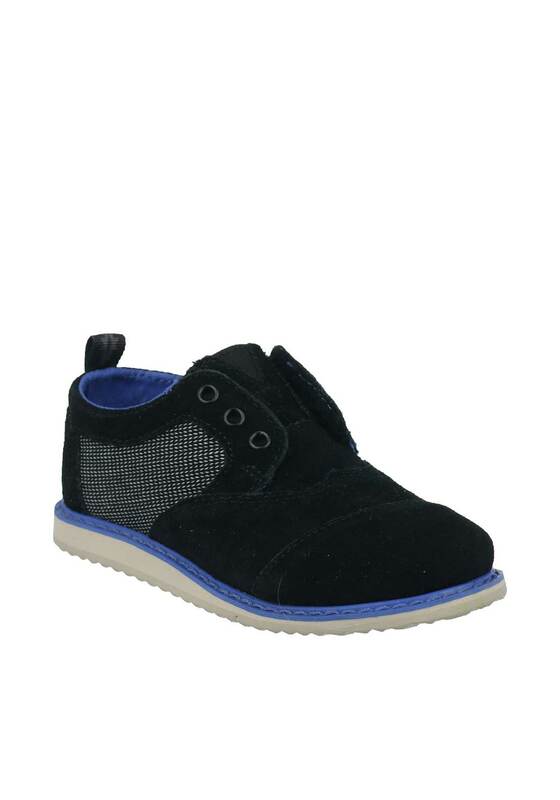 These Tiny Toms black suede brogues have contrasting canvas panelling on the side and a handy double Velcro fastening for a secure and comfortable fit. The stylish shoes have a cable stitching welt sole, an antibacterial and removable breathable footbed and a ridged rubber outsole gives traction as he plays. A dressy choice that will look great with a shirt and little chinos.